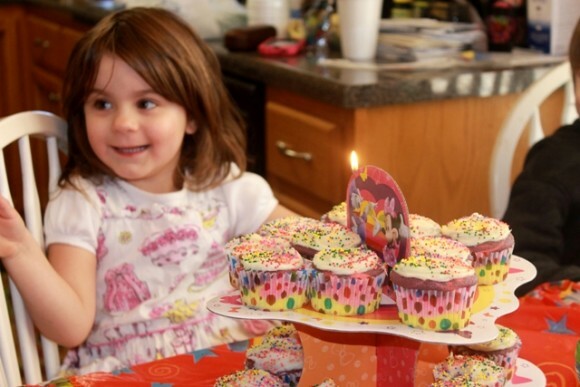 Mid February, Little Miss turned 4. I can hardly believe it! I have a 4 year old. 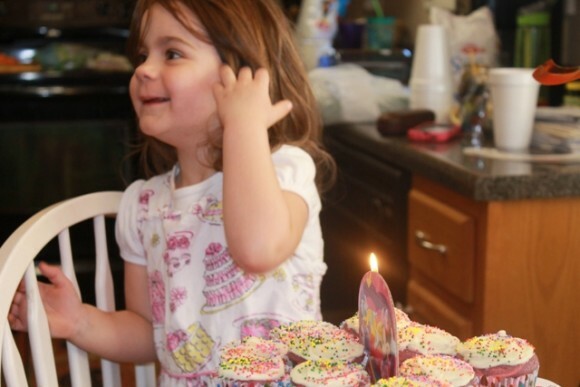 This year instead of just doing a small party at home with the family we decided it would be a lot of fun to throw an actual birthday party with some of her friends. The benefits of homeschooling and all of her friends also being home schooled is that we can have a party on a Tuesday in the middle of the day. And let me tell you, it was a blast. I had a lot of help from Disney this year in making sure her party was a success. We were asked to throw a party to show off our Disney Side. And since we are all huge fans of Disney I knew it would be the perfect party for her. All of these goodies showed up and I had so much fun planning her party. Since the guests were ages 4 and 5 I wanted to keep it really informal with lots of time for them to just run and play. First off we had lunch. What Disney part would be complete without some great themed food. 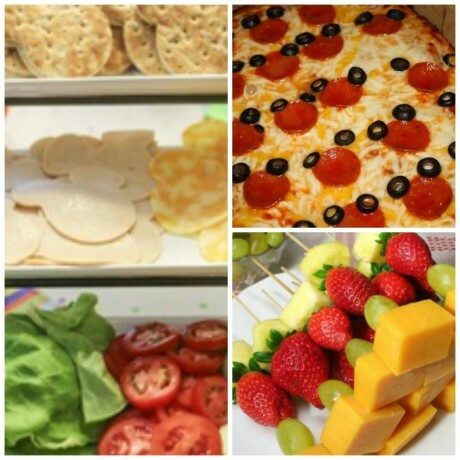 We had Mickey Mouse Club Sandwiches, Mickey Pizza, rainbow kabobs and some fresh veggies to munch on. Thanks to Pinterest and some simple Google searches I was able to find some great ideas for food that easily fit the theme but didn’t require a ton of work on my part. With the exception of baking the cupcakes I was able to make all the food the day of. After lunch we played a game of Pin the Smile on Mickey. The idea is simple, just put the smile on Mickey and whoever is closest to where it goes, wins. Because of the age group the results were all over the place and we all had a great laugh over that. 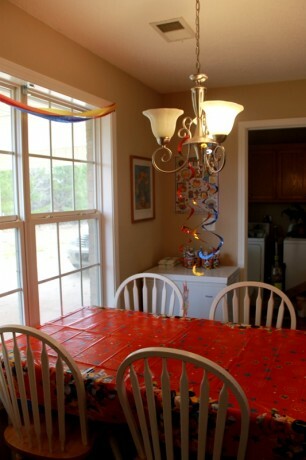 The decorations were simple. 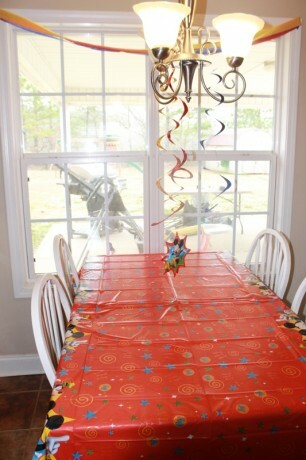 A cute tablecloth, some little hanging decorations and some matching streamers completed the look. 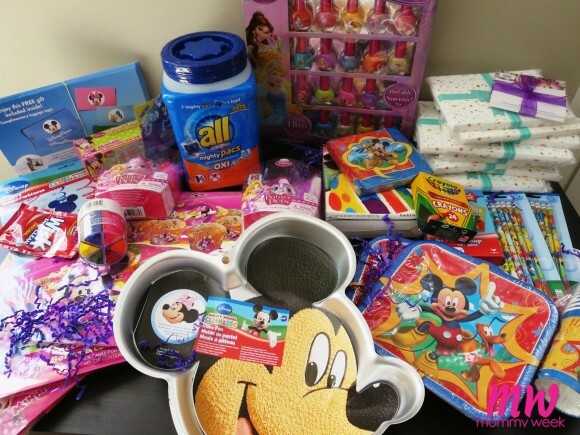 All the guests got to take home a little goodie bag with Disney pencils, crayons, stickers, and some fruit snacks. We ended the party with cupcakes. At the end of the day I was thrilled with our Disney party and I know the birthday girl had a blast. I can’t wait till next year when we can do another Disney Side party and do it up even bigger. I have a ton of ideas on how to make it even more special.